The Handcuff Ley Shim Lock Pick can open most handcuffs if the lock has jammed or even if the key has broken off inside! No more need for bolt cutters to release a prisoner locked in a pair of inoperable handcuffs. 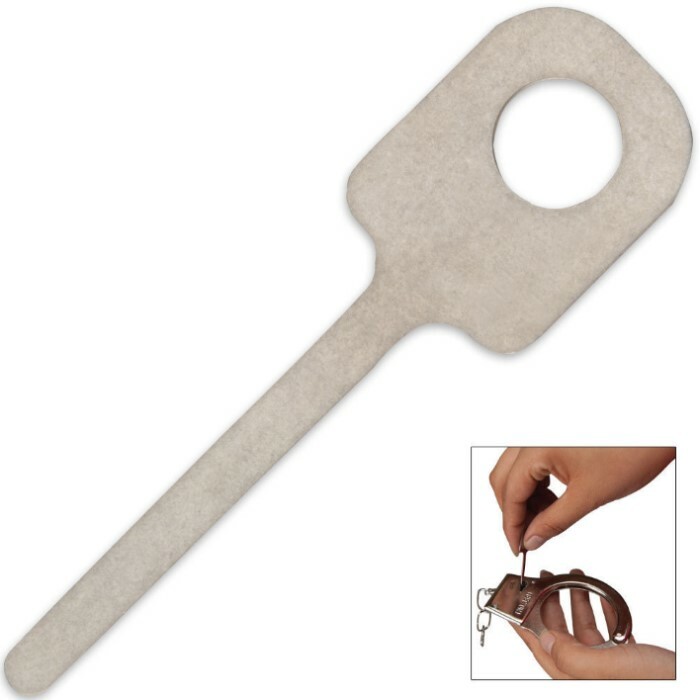 This handy little shim slides between the pawl and the ratchet to quickly release the cuff. Works when cuffs are single-locked.